A Homeschool Mother's Journal in 7 Quick Takes - The Kennedy Adventures! In my ‘combine everything as much as possible’ style, I’m linking up to iHN’s Homeschool Mother’s Journal AND 7 Quick Takes this morning. Who said multitasking wasn’t helpful! In our homeschool this week …. we’ve been doing a lot of reading. My husband is a master of picking out books from the library. We’ve been pouring through some of our Halloween favorites. My kids insist that my husband change his voice for reading …. I love it! I honestly haven’t been doing much with the boys. It’s HARD! Rachel gets annoyed if we’re doing something ‘fun’ since she’s working hard with phonics and reading comprehension. I gave up this week and sent the boys outside to play while Rachel and I finished up. She’s reading Blueberries for Sal this week, and I love watching her eyes light up while she’s reading. As port of our Storytime Treasures workbook, we’re slowly learning grammar as well. We’re working on verb tenses. She’s picking it up quicker than I imagined, which I attribute to lots of reading aloud. 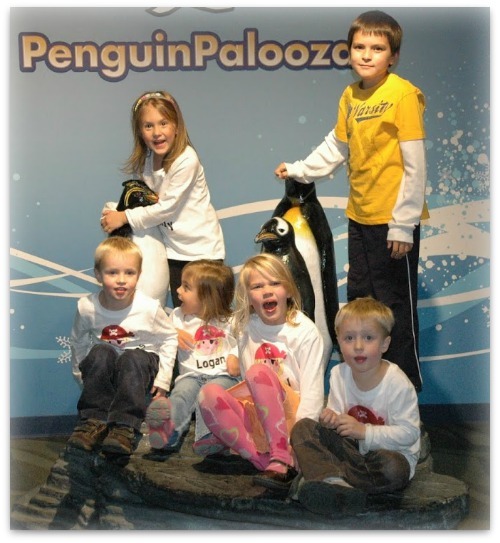 Places we’re going and people we’re seeing… A few weeks ago, we headed to the Newport Aquarium with my friend Colleen. One of these days, I’ll get all pictures up! We’ve also been busy with gymnastics for the boys and for Rachel, and RIDING LESSONS for Rachel. Brett bought a Groupon for Rachel’s birthday in the spring. She’s had some Small Fry lessons, and I’m contemplating joining up with the Equestrian Club for homeschoolers. Don’t miss my post over on New Evangelizers today — talking about how to share your faith with your children. I’m also in the midst of my Fabulous Forty series. If you’re looking for some last minute resources for Halloween costumes, candy free alternatives for Halloween snacks, or books and crafts for Halloween, don’t forget to visit the links. My healthy children and my wonderful husband, of course. We also had a wonderful visit with my mother this week! Yay! Now we need to get Granny over. Questions I have: How in the world do homeschooling mothers keep their house clean? I have no idea how people keep up with this. I’ve decided that I might need a day a week without the kids to get the house caught up. Of course, then it would only take the kids 30 minutes to undo all of my work. Maybe I should follow my own advice. I’m still struggling through The Out of Sync Child. It seems like I’m never going to get through it! Argh! It’s a good book, but just a little difficult to digest. I was inspired by these conversation starters from iMom, and decided I would interview Rachel and video her. I’m planning on doing this once a week or so. While you’re over there, follow me on You Tube, too. I’ll be posting more videos of our homeschool adventures. Love the interview idea. I’m still on the fence about homeschooling or going to our parish school. You make me want to homeschool! Oh Marie! Don’t tell Dianna you are on the fence about homeschooling!! 🙂 She’ll have your decision made for you in no time!! No, really! One minute I am all set to send my kids to the parish school and bam I talk to Dianna, read a post, e-mail with her and homeschooling is back on my heart again. She even added me to a homeschooling group on FB! 🙂 I just don’t know if I have it in me or not. Didn’t you use to teach middle school?? Preschool/kindy/1st grade would be easy! Marie … you can do it. If I can do it, anyone can! Thanks. I also taught before having kids – 4th-8th math, Spanish, religion. I have a lot of homeschool friends in the Peoria area, and the kids are thriving. There are multiple coops and other activities they’re involved in, plus the families seem so close and in tune with each other – much more than the rush-rush of having kids going in all directions all the time. On the other hand, we have a great parish school, and my husband and I both enjoyed the “experience” of going to school – lockers, lunchtime, etc. I’m a nerd and actually enjoyed the learning parts of it too. : ) Extracurriculars (mostly sports and music) are important to us, and it’s a competitive field by the time they reach high school. If I didn’t have a great parish school option, I would definitely homeschool! Decisions, decisions. Why yes, she has some TWANG, too! please do! I’m going to purchase a Flip video camera (at the recommendation of my pal Angie), and teach myself some video editing skillz. She’s so cute 😉 Great job! Thanks, Jen! We’re pretty proud of her! You rock, Dianna! I think you need to cut yourself some slack, too! How much “school” do 4 year olds need? Playing outside IS school for them! They’ll learn way more that way at this point! As for the house- girl!!! You have all those littles running around AND you’re homeschooling. Something’s gotta give!! At the end of the day, maybe have a “race” to see who can pick up the most toys. Rachel is adorable!! Six kids!! Love it! Phew — the house. EEK. I have been doing the ‘set the timer’ thing before bed, or before dinner. I think I’m going to set a day a week to do nothing but clean. Oh, my! You can just see the wheels turning when she’s answering that question. First it’s two boys, then she remembers her two brothers fighting and getting on her nerves, and decides it will be just one boy. I bet if you’d have asked she’d have said she’d keep her one boy in the dog crate ! 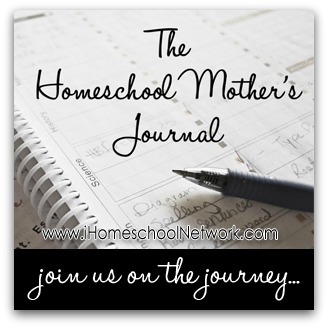 Stopping by from The Homeschool Mother’s Journal! Blueberries for Sal is one of my favorite stories. Sal was my French teacher in high school! Clean house? What’s that? LOL You know…I usually just tackle the big stuff (i.e. vacuuming, dishes, trash, and laundry) and hope that I’ll get to the other stuff here and there. Oh, I found reading Out of Sync better when I could focus on just those areas that I needed to learn about for my son. It is a lot to take in. Thank goodness I wasn’t the only one that had trouble with Out of Sync. A big thing I need to focus on is decluttering. We simply have too much stuff. We LOVE Blueberries for Sal! I saw your link on The Homeschooling Mother’s Journal. I love the video and the idea! We have no family close by, and that would be a great way to connect with them more! As for the clean house, I’m right there with you! One day at a time! Thanks for sharing! Thanks for coming by, Christy! I think that would be a wonderful way to share your children’s thoughts/activities with family out of town! I love it! I just remembered that I need to tag Rachel’s godmother on Facebook so she can see her! Clean house — I’m putting it on my list for today! I loved the interview! There was some mental arithmatic in there too. Make the most of your children, just wait 15 years or so, then you will have plenty of time for housework – and hopefully helpers. ExposeYourBlog! Joining up bloggers for over two years. She has a lot of ‘deep thoughts’ — I will cherish looking back on this in years to come! Sigh … don’t I know how fast they grow up. My oldest will be graduating from high school in a few months. Even the baby is growing crazy fast — she wants to eat food off the table and crawl, and she’s not even 5 months old! It seem like around here you one or the other–clean house…OR…great day of homeschooling. But both cannot happen on the same day for some reason, lol!